So Much More Than A Photo Booth. The mirror surface of our photo booth features touch screen technology. Sign your photo by using your fingertips on the mirror itself! Text message or email the photos to yourself so that you can share what a blast you are having to a friend or your favorite social media platform! The mirror features multiple engaging graphics that give directions or complement you! These can be customized for any event types. We believe that those tiny photo strips are outdated and you shouldn’t have to squint just to see the images. The mirror produces full color 4x6 inch photo prints for everyone to enjoy! Have you ever taken a group photo just to be handed two photo strips?! 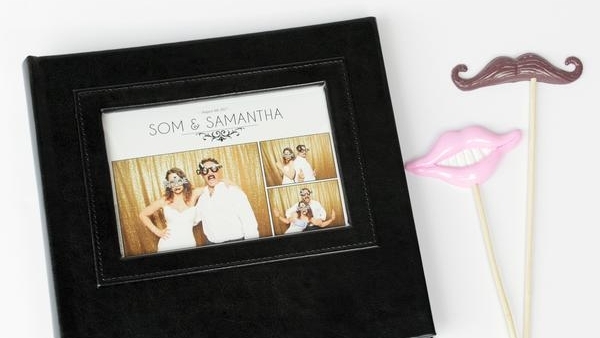 The mirror allows you to print multiple copies per photo capture, so that each person gets their very own print.